Here is another Cebu Pacific seat sale 2017 which are good for February, March and April 2017 trips to select local and domestic routes! 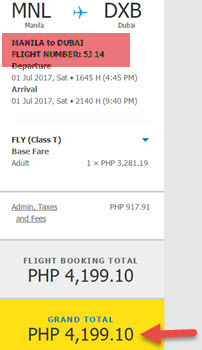 The current promo of Cebu Pacific includes famous traveler’s vacation destinations of Boracay, Coron, Puerto Princesa and more for as low as P1,799 ALL IN. 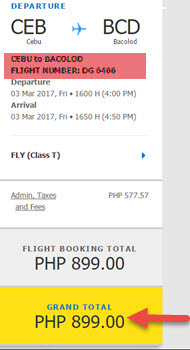 Cheap tickets from Cebu to Visayas routes are as low as P899, P1,099 or P1,199. Fly from to the Middle East: Riyadh, Kuwait, Doha or Dubai and Sydney for only P4,199 for a one-way trip. Travel to these destinations from other airports cost P5,399 for a one-way fare. Book the sale tickets until January 21, 2017! However, since promo fares are limited, it is best to book fast to get the lowest available fares! The Cebu Pacific promo tickets include the base fare, Web Admin Fee, taxes and fees and 7 kilos hand carry bag. As checked baggage is not included in the fare, it is advisable to purchase in advance Checked Baggage Allowance to get a discounted rate. You may get a Checked Baggage Allowance during booking or up to 4 hours before your scheduled flight departure. Read here for the Checked Baggage Fees of Airlines when pre-booked or when paid at the airport during departure. 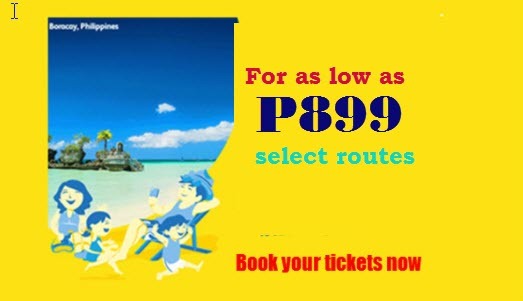 Get the Cebu Pacific promo fare by booking online at www.cebupacificair.com or buy the sale tickets at accredited ticketing offices and travel agencies. For inquiries, you may call Cebu Pacific hotline at telephone #: (02) 702 0888 (Manila) or (032) 230 8888 (Cebu). Web self-check-in services are available to passengers up to 4 hours prior to scheduled flight. Watch out for more promo fares 2017 to 2018, PISO FARE 2017 of Cebu Pacific, Philippine Airlines, Air Asia, Skyjet and other airlines in our Facebook: PISO FARE TICKETS!! !